Page365 is modernizing social commerce. Back in 2013 there was a huge number of merchants who turned Facebook and Instagram into bustling online marketplaces on a scale never seen before in Thailand. However, they were using outdated tools and practices like they were selling on web forums in 1997, which could not keep up with the volume of transactions they receive. We see huge potential in supporting these microentrepreneurs. Page365 is creating a new standard of social commerce that’s trustworthy and secure, and we do that by providing first-class ecosystem: one-click payment, expedited shipping, store reviews; ultimately they contribute to a higher number of successful transactions and satisfied customers. Our medium-term goal is extending the awareness of the Page365 brand—already popular amongst merchants—to the shoppers, especially those who have had bad experiences with online shopping. 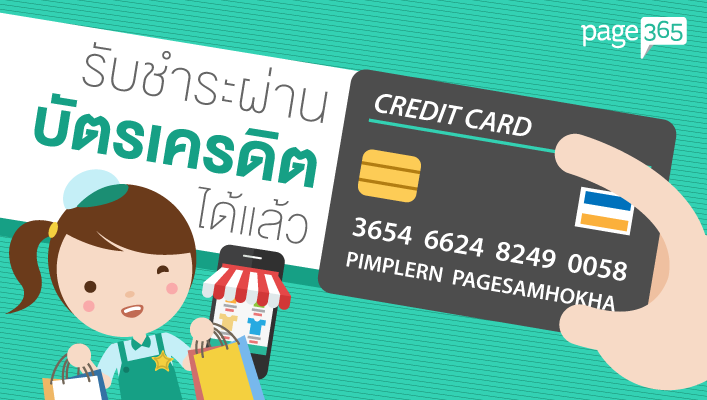 Another big thing is regional expansion—Page365 is already the largest community of social merchants in Thailand, so it makes sense to have presence in every country that this purchasing behavior is present. We believe this is just the beginning. Speaking of payments, what were the challenges Page365 faced prior to using Omise? We needed a payment solution for our merchants, but there were no payment providers who were doing what we wanted. All of them were either inflexible, unreliable or frustrating to use. What was Page365 looking for when choosing a payment gateway? First, it needed to accept payments without frame or redirection. And we needed the ability to turn off two-factor authentication (VBV and SecureCode). It absolutely kills conversion. Finally, we need an easy way to make payouts to merchants. Why did you choose Omise and what are some other alternative payment providers you considered? We did experiment with other service providers for several months, but did not find a solution that worked for us. Switching to Omise was a breath of fresh air. We had total customizability, a fast and well-designed API, and a solution backed by one of the strongest technical teams that I have been introduced to. How long did it take exactly from deciding to use Omise and actually utilising it on your site? Less than a month. Page 365 was amongst one of Omise’s earliest production clients! Which feature do you find most useful? Was there any trouble implementing Omise? How helpful has Omise been? Omise has been the pivotal partner with whom Page365 chose to work in building a streamlined online payment solution for social merchants. Transactions completed via credit card have higher face value than those paid through any other payment channel, and they exhibit a significantly lower drop-off rate. The ease at which Omise lets us tokenize credit cards is the key enabler of recurring payment models and minimal-friction one-click purchases. Credit card usage is highly sticky, so people who are familiar with online shopping tend to look for the credit card option first to the detriment of non credit-card enabled merchants. So far it remains one of Page365's core services which receive highest attention from our merchants.